Virginia May Harp, 86, of Elizabethtown, passed away on August 4, 2018 at 7:00 a.m. at her residence. Born May 26, 1932, in Jennings County, she was the daughter of Harrison and Nellie Udell Hook; they preceded her in death. Ms. Harp graduated from North Vernon High School in 1950 before attending business college in Columbus. 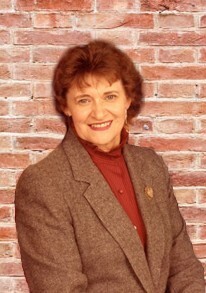 She went on to work as a secretary for Cummins in Columbus for 33 years before retiring in 1993. She also worked in the garden center of Walmart in addition to being a greeter there. She was a member of the Wilson Chapel Church and enjoyed genealogy, history, traveling to historical places, and gardening. Ms. Harp is survived by her son, Timothy (Melisa) Harp of Marietta; daughters Susan Burt of Columbus, Dana (Roger) Fuller of Larkspur, Colorado, and Melanie (Shane) York of Franklin; sister Barbara Biddinger of North Vernon; grandchildren Brytanni (Adam) Morrison of Watertown, Massachusetts, Matthias Hedrick of Carmel, Merrick York of Franklin, Myles (Sarah) Dover of Shelbyville, Marek (Carolina) Dover of Sydney, Australia, Rachael (Chuck) Hopkins, and Shawnee Burt both of Southport; and seven great grandchildren. She was preceded in death by her parents and her brother, Robert Hook. A funeral service for Ms. Harp will be conducted at 2:00 p.m. on Sunday, August 12, 2018 at the Dove-Sharp & Rudicel Funeral Home and Cremation Services with Reverend Doug Sharp officiating. Family and friends may call on Saturday, August 11, 2018 from 4:00 p.m. until 8:00 p.m. at the funeral home and one hour prior to the service on Sunday. Burial will be at the Vernon Cemetery in Vernon. Memorials may be made through the funeral home to VFW Post 2021 or to the Wounded Warriors Project.